This remarkable Grade A listed building was designed by the master architect Charles Lanyon in 1843–6 and built by contractor Williams & Sons of Dublin. The county gaol is a splendid example of Belfast’s Victorian architecture. 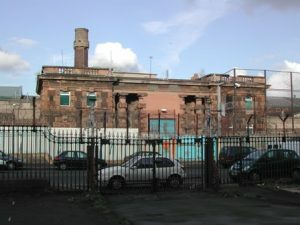 Crumlin Gaol serves as an early example of the pentonville radial plan which was a significant development in prison architecture at that time. Following its closure in 1996, the building was brought back to its original splendour in 2013 by Hamilton Architects acting on behalf of OFMDFM and North Belfast Community Partnership. 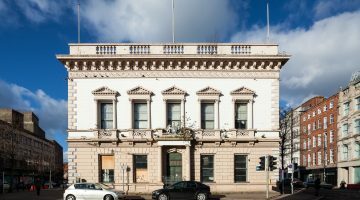 The building’s fate was secured as part of a £10m large scale regeneration masterplan (Belfast City Council Investment Programme 2012–2015) and part of DSD ‘Reinvestment and Reform Initiative’ displaying Central Governments interest in working with the local community and taking responsibility for their historic estate. The aims of the high profile project were to act as a strategic, economic and cultural driver to encourage regeneration of North Belfast. ‘The Crum’ represents one of Northern Ireland’s most architectural and historic icons and is now fully accessible to the public as a state of the art conference and visitor centre. 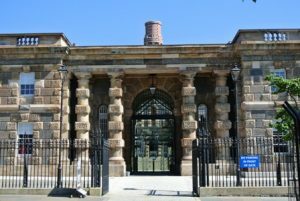 The tunnel which connects the gaol to the historic Crumlin Road Courthouse opposite is a powerful piece in the story the complex of buildings tell and significant to Belfast’s built heritage. It is hoped that the high profile Building at Risk– the Crumlin Road Courthouse, will also find a sustainable new use to compliment that achieved at the gaol. NIEA Listed Building Grant Aid; Heritage Lottery Fund; NI Executive OFMDFM funding & Social Investment Fund.